After hours spent rigging the set, assembling lights, positioning microphones and rehearsing camera shots — the darts contest is ready to be recorded. In these highlights, watch as director Geoff Wilson — assisted by production assistant Jane Whitmore — calls camera shots and keeps the show running. Links to longer versions of this video, covering the entire darts contest from start to finish, can be found at the bottom of this page. The crew stand by to record the darts contest. At the last moment, problems with the lighting rig delay the programme. Commentator John Gywnne introduces the contest as producer Geoff Wilson directs the cameras. With the darts contest well under way, the crew’s camera operators and engineers settle into the rhythm of the programme. Ian Rutter, operating the videotape recorder, springs into action in preparation to perform a slow machine replay – but the show moves on and he is stood down. The darts contest concludes, the theme tune plays out, and the programme comes off the air. The crew reflects upon their achievement. 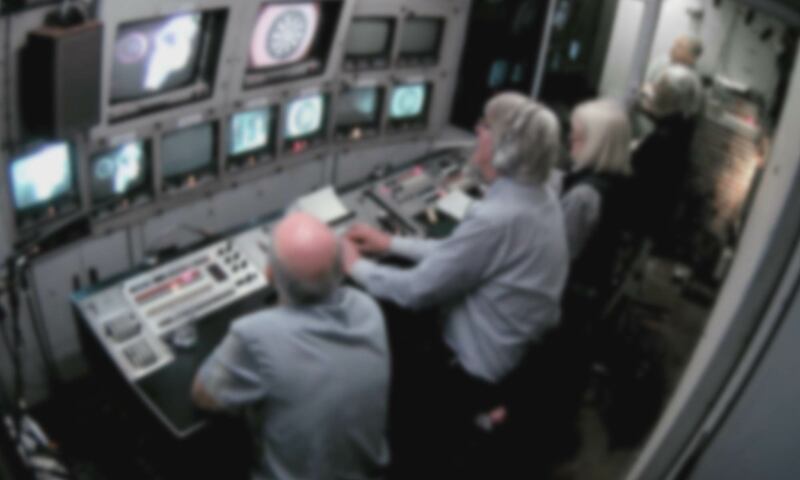 When the recording is complete, the crew work together with the camera operators in the studio and the videotape operator to superimpose titles and captions on the darts contest.